The concept of sole custody once existed in Florida, but has been replaced by the principles of time sharing and parental responsibility. Time sharing is the term now used to refer to the amount of time each parent spends with the child. In making time-sharing determinations, courts usually start with the presumption that time sharing will be divided 50-50 between the parents. Each side is then given an opportunity to argue the reasons why this presumption should be altered. Florida courts make time-sharing determinations based on the best interests of the child. They are required to consider many statutory factors when making a decision. None of these factors is related to gender; mothers are not necessarily favored as caregivers in time-sharing and decision-making determinations. In circumstances of domestic violence, child neglect or substance abuse, a parent’s time sharing may be severely limited. The court can also require that a parent’s time sharing be supervised if there is a concern about the safety of the child while under the care of the parent. 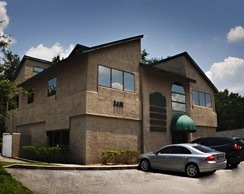 Contact our Winter Park sole custody attorneys for more information. The term “parental responsibility” refers to the parent who will make major decisions affecting the health, education and welfare of the child. As with time sharing, courts start off with the presumption that parental responsibility should be equally shared between the parents unless the court finds that shared parental responsibility is not in the child’s best interests. In that case, the court may order sole parental responsibility to best protect the child. Whether you wish to seek the majority of time sharing with your child, or you wish to oppose the other parent’s request for the majority of time sharing, the Orlando sole custody lawyers of Cotter & Zelman, P.A., can help. Using mediation, negotiation or litigation, we will strongly advocate for the parenting arrangement that best protects your child’s well-being. With more than 65 years of combined legal experience, our attorneys have a long history of helping clients accomplish their goals in child custody and other family law matters. For professional, responsible assistance with time sharing and parental responsibility issues, call Cotter & Zelman, P.A., at 407-629-4711. You can also contact us by email to schedule a free consultation.